Team reviews provide an opportunity for developers, modelers, customers and stakeholders to comment and provide feedback on the work in progress or at the completion of a milestone or project. The Team Review feature can be used to conduct model reviews from any number of perspectives including walk-throughs, formal model reviews, or ad-hoc reviews. 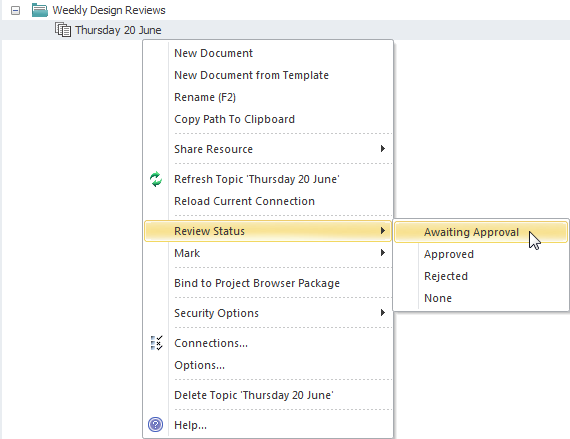 There is a wide range of settings available to configure the Team Reviews available from the Category and Topic context menus, including setting the status of the category or topic and other options. 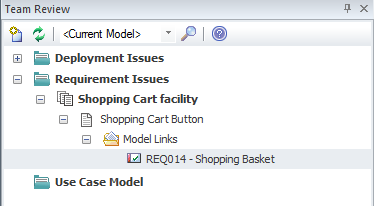 Diagrams, elements and element features can be conveniently dragged from the Project Browser to create model links that can be used by team members to hyperlink directly from the Team Review window to these items in the Project Browser.